A brush that suctions onto a smooth flat surface. 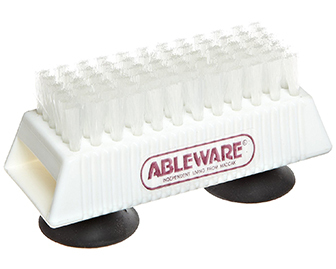 One can then rub their nails along the bristles to improve hand hygiene and maintain nail care. Great for people that have one handed weakness or paralysis that wish to engage in their own personal grooming.